Of course, the most unwell children will be brought to ED in cardiac arrest. I suspect some of you will be unfamiliar with the resuscitation of children despite knowing adult resuscitation by heart, so you might want to review this resource outlining the APLS algorithm. The same can probably be said of other emergency presentations such as anaphylaxis. You may know the adult doses, but do you know the doses for children with anaphylaxis? Infants sometimes present following short-lived episodes of respiratory compromise or colour change that are alarming to their parents. You may be unaware of their significance as the child usually looks perfectly healthy when they arrive in ED! Read more about these brief, resolved, unexplained events to ensure you don’t miss a significant presentation. Rashes are common presentations to ED. Almost every illness seems to cause rashes in children and differentiating between the causes can be daunting! At a basic level the main goal is to be able to differentiate the serious rashes, such as that of meningococcal sepsis, from the benign causes which are usually viral exanthems. These resources provide an overview on common or classic childhood rashes. Many of the causes of abdominal pain or vomiting, such as appendicitis or gastroenteritis, are similar in adults and children. There are a few child-specific surgical presentations that you should be familiar with however. Headache in children is usually benign, but warrants thorough history and assessment, as headache can be a sign of something more serious such as meningitis. Orthopaedics is another surgical speciality that has its own child-specific presentations. These Salter-Harris and CRITOL resources will give you a bit more information. The neonatal stage of life is a vulnerable one these babies can become unwell quickly. Have a quick look at this resource for information on some common presentations: feeding problems and sepsis, and neonatal conjuctivitis and ophthalmoplegias. And, finally, we always need to consider the possibility of non-accidental injury. 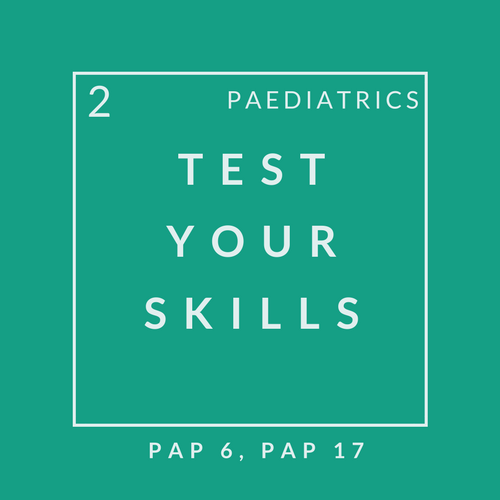 To refresh your knowledge on this area review this NAI resource and become familiar with the under 1s proforma, which should be completed for every child <1 year old presenting with an injury. Mental illness is on the increase among children, and occasionally they present with self harm and poisoning.